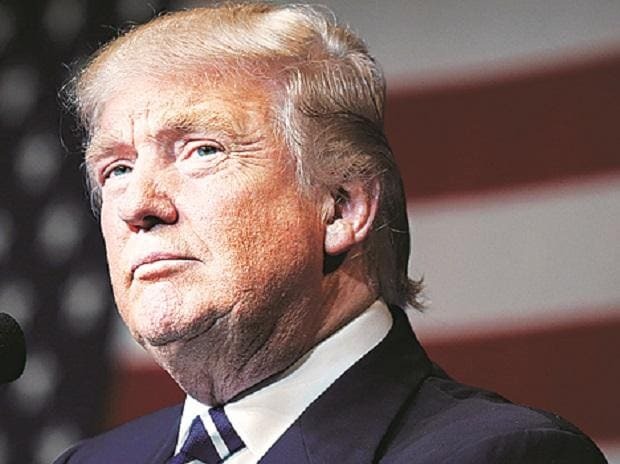 US President Donald Trump has walked out of a meeting with top Democratic leaders, House Speaker Nancy Pelosi and Senate Minority Leader Senator Chuck Schumer, after they refused to allocate a whopping $5.7 billion funding for his controversial US-Mexico border wall plan. Trump was furious that Pelosi said no when he asked the Democratic leaders on Wednesday would they support the move to fund the border wall within the next 30 days if he ends the partial government shutdown that has crippled many offices. "Just left a meeting with Chuck and Nancy, a total waste of time. I asked what is going to happen in 30 days if I quickly open things up, are you going to approve Border Security which includes a Wall or Steel Barrier? Nancy said, NO. I said bye-bye, nothing else works (sic)!" a furious Trump tweeted. The sharp differences between the Trump administration and the opposition Democrats over border security has resulted in a partial government shutdown, which entered its 19th day on Wednesday, making it the second-longest in history after the 21-day shutdown in 1995-96. The Democrats are refusing to allocate the money, arguing that a wall would be costly and ineffective. Mexico has rejected Trump's demand to pay for the border wall. The president's walkout from the meeting at the White House on Wednesday afternoon opens a new phase of political uncertainty in the US. Talking to reporters after Trump's walkout from the meeting, Pelosi and Schumer asserted that under no circumstances the Democrats are willing to fund a border wall. Blaming Trump for the partial government shutdown that has badly hit the functioning of the federal government, the two leaders indicated that their party is not going to change its stand over the issue. The Democratic party enjoys a majority in the House of Representatives. Vice President Mike Pence, who made a rare media appearance at the White House stake out location along with the other Congressional Republican leaders, said their doors are still open for the Democratic party leaders to come up with their own proposal. ALSO READ: Forget the border wall, can US military even fix its own combat readiness? However, Trump has made it clear that there will be no moving forward without funding approval for a wall. In recent days, the president has showed signs of some flexibility by proposing a steel barrier instead of a 30-foot-high concrete wall. The meeting with Pelosi and Schumer took place in the Situation Room of the White House. Trump entered the room and shared candies with the Congressional leadership, but walked out soon after getting 'no' for an answer from the House speaker. "It's cold out here and the temperature was not much warmer in the Situation Room," Pelosi told reporters outside the White House after the meeting. Schumer alleged that Trump "sort of slammed the table" as the talks fell apart. "He couldn't get his way and he just walked out of the meeting," he said, adding, "We saw a temper tantrum because he couldn't get his way." However, the Democratic leadership denied such a characterisation of the Situation Room meeting, in particular banging the table. House Majority Leader Steny Hoyer noted, "This is not a partisan difference, this is a policy difference." Alleging that the Democrats are unwilling to change their position over the issue, Vice President Pence said the Democrats want to reopen the government before negotiations can begin. The president was amenable to the idea but Democrats would not guarantee that they would agree to a wall if and when the government reopens, he said. "When she (Pelosi) said no, the president said goodbye," Pence said. Asserting that there are millions of federal workers who are as disappointed as "we are" that the Democrats are unable to reopen the government, the vice president said, negotiations will continue so that safety and security can be brought about at the southern border. Republican Leader Kevin McCarthy said what Schumer described as the tone of the meeting was different from what he had witnessed. He said the president actually turned the floor over to Pelosi and Schumer to hear from them. "So he (Trump) turned to (House) Speaker Pelosi. She began to argue whether we have a crisis and whether or not it's true. The president said ok if we open the government up in 30 days can we have border security? She replied no," McCarthy said. "Schumer began to raise his voice. The way they displayed the meeting is embarrassing," the Republican Leader said. House Homeland Security Secretary Kirstjen Nielsen said, "It is a humanitarian crisis. It is a security crisis and the reality is walls work." "Criminals come between the ports of entry. We need security at the ports of entry and security between the ports of entry," she said.